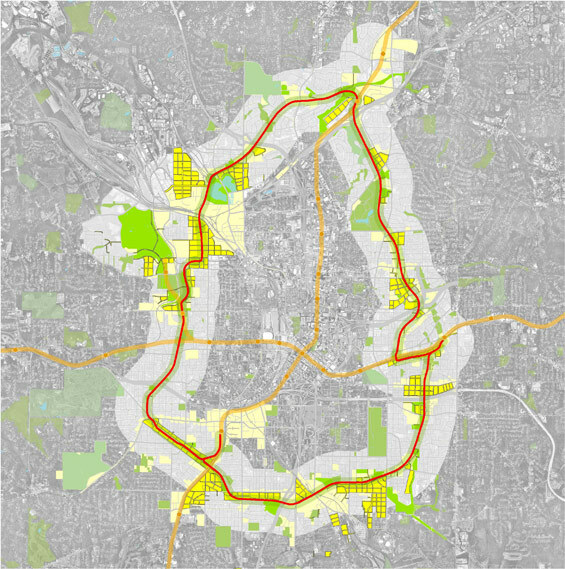 The Atlanta BeltLine is an infrastructure framework around which the urban core of Atlanta will grow by as many as 100,000 people. 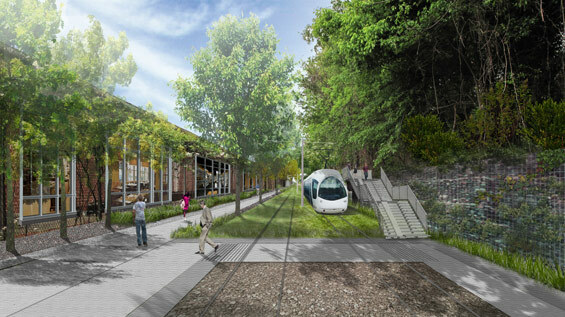 This loop of old railroads is being transformed into a 22-mile transit greenway that combines light-rail transit, parks and multi-use trails to generate economic growth and protect quality-of-life in 45 historic neighborhoods surrounding the central city. 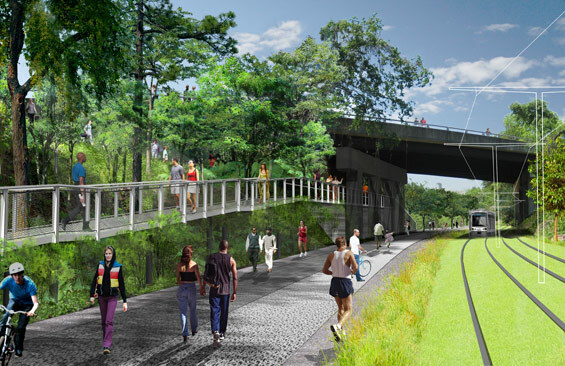 The BeltLine Corridor Design will establish typologies for all landscape architecture elements, wayfinding and signage, infrastructure and development interface. With a phased implementation plan, some components are being implemented even as design work is ongoing. The Corridor Design ensures that the BeltLine’s implementation over time will deliver a functional, elegant, groundbreaking and cohesive urban design. It creates continuity and identity for the Beltline through infrastructure elements – the transit system and trail and their supporting infrastructure of stairs, ramps and signs. It generates experiential variety through an exciting sequence of landscape character segments originating from the historic and physical fabric of the city and amplified through site-specific planting concepts, spatial articulation and lighting. 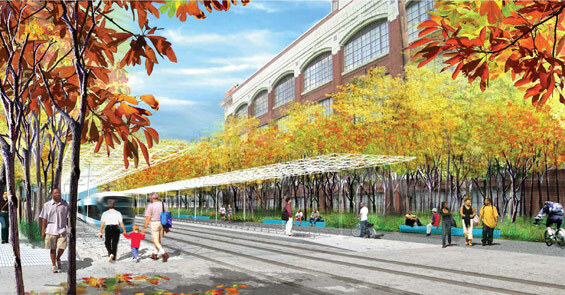 The Corridor Design will establish core physical relationships between transit, trail and access points and embed supporting strategies like public art and signage. It will ensure that the grand vision is sustainable, efficient and affordable to build and operate. 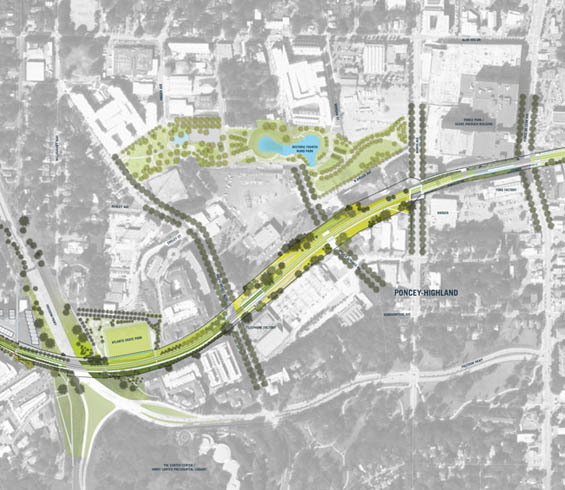 Finally, the Corridor Design will deliver the greatest promise of the BeltLine: it will support, protect, and enhance the quality of life for the city of Atlanta through the next several decades of dramatic regional transformation. James Corner Field Operations was commissioned with Perkins+Will to design the 22-mile transit and recreational corridor that surrounds downtown Altanta. 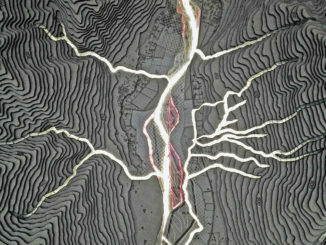 James Corner Field Operations provided early concept designs and typological guidelines for the landscape, planting and paving for the BeltLine project. Thanks for the suggestion, we will take a look at how we could achieve this. It would be fantastic if viewers could click an image above & get a much bigger version….maybe in pop-up form? 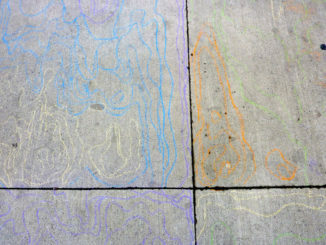 There is so much detail that we’d like to be able to see up-close.